The run home: Are the Swans cooked? THERE were moments of personal doubt for young Eagle Tom Cole as he cobbled together only six AFL games across his first two seasons. The fact West Coast's football bosses doubled Cole's automatic two-year draft contract before he even played a game in 2016 obviously helped ease his mind. But the kid from Bendigo, about 150km north-west of Melbourne, sent to the opposite side of the country to chase his AFL dream still took time to feel comfortable. Cole's journey is a long way from complete, but his round 19 NAB AFL Rising Star nomination is a timely reward for the progress the 21-year-old has made. He was slightly bemused to gain recognition after a 40-point loss to North Melbourne, but his 18 disposals, 11 intercept possessions and five rebound 50s made him a worthy recipient. Cole's ability to play 14 straight matches this season since breaking into the Eagles' senior side in round five is testament to his growing importance at the club. "You have times when you think you're not good enough – that's just natural," he told AFL.com.au. "But there are a lot of great coaches around who've been around the industry and they know what it takes and they really drill that into you. "I had a good pre-season this year and got through unscathed and that really set me up and I just built form from there." Cole was on track to play in West Coast's season-opener against Sydney at the new Optus Stadium until his father, Russell, lost his fight with liver and bowel cancer. He spent those last precious moments with his family back home, with football the furthest thing from his mind. "I was really focused on my footy and was having a really good run at pre-season and then it kind of all came crashing down," Cole said. "I didn't know where my footy was going to end up this year, with when I was going to come back, or how the season was going to pan out. "My family urged me to get back into it as quickly as I could, so I just took their advice, fought my way back in, and now I'm lucky enough to play a few games now. "It's a real motivating factor every time I run out, to do it for dad, but it probably helped me in a few ways, with resilience and those types of things." 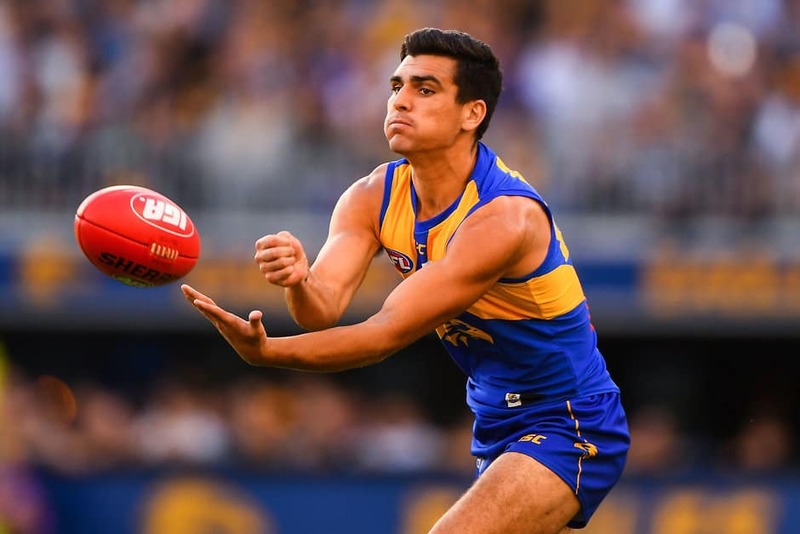 What has also assisted Cole's transition from fringe player to regular was the quality around him – such as captain Shannon Hurn, Jeremy McGovern, Brad Sheppard and Will Schofield – in the Eagles' backline. He is now primed to be part of West Coast's assault on a first premiership in 12 years. "It's good to be in a successful team and winning is a good habit to get into," Cole said. "To slot in there and hold my spot has been really nice and we've got some good leaders in the backline, which has really helped me along the way to feel comfortable out there. "We're having a pretty good season, but there's a long way to go." On a lighter note, there's another reason beyond football that he is gaining attention. Cole and his girlfriend, Lily, bought a dachshund, also known as a 'sausage dog', with Rocket's adventures captured on Instagram under the pseudonym @rocket_the_sausage. "I don't have anything to do with it – it's run by my girlfriend. I try not to look at the photos she posts on that Instagram account," he said with a laugh. "But it's good. I take him for walks and it gets you out of the house and away from footy, so it's a good little part of our life, mine and Lily's, and we love him. "Maybe we'll get another one in the next year or so."